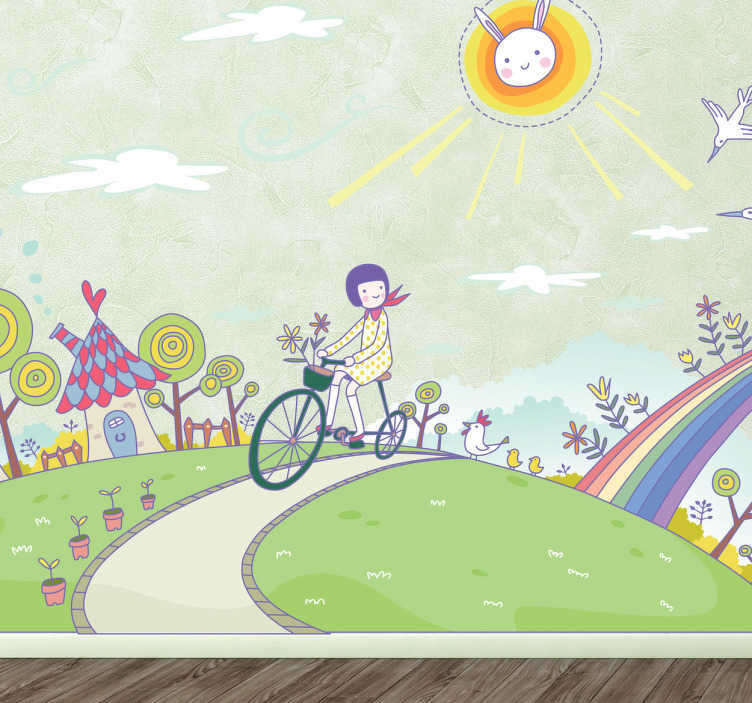 Decorate your child's room with this fascinating vinyl sticker of a little girl that rides her bike to travel through a fantasy land. The sun has a bunny face, the bridge consists of a rainbow and the trees are made of lollis. Perfect wall decal for the playroom, since there is always something to discover. This original sticker is easy to apply.